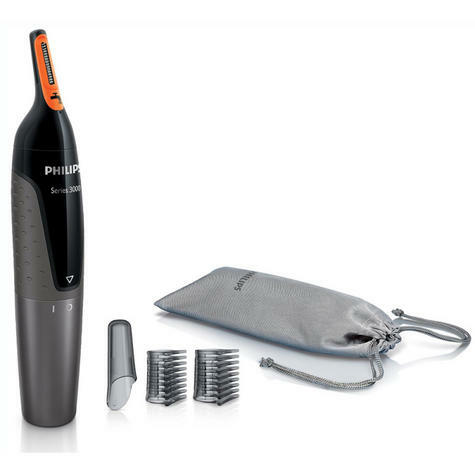 The Philips NOSE TRIMMER Series 3000 gently removes unwanted nose, ear and eyebrow hairs. 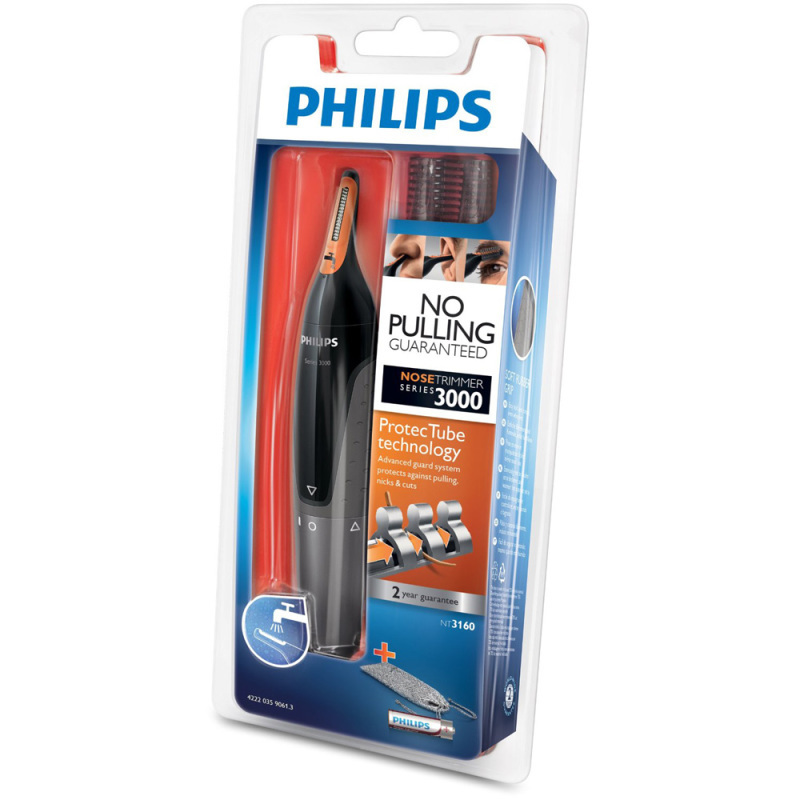 The ProtecTube technology and the specially designed angle of the trimmer ensure a fast, easy and comfortable trim with no pulling guaranteed. Hygeine Product - *No Return will be Accepted if Item is Opened/Used unless device is Faulty. Easy storage of all accessories. 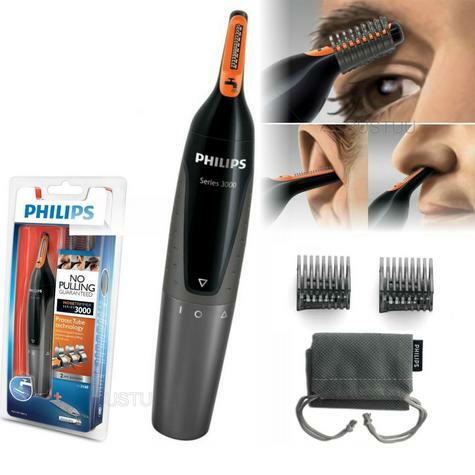 Soft pouch includes: AAbattery, 2 eyebrow combs and protective cap to keep the blade clean.